The Pound closed negatively yesterday as investors are still waiting for any positive sign regarding Brexit. Today, PM Theresa May will meet ECB president Jean-Claude Juncker to discuss possible renegotiations. In economic news, we have multiple figures and data coming out of the UK that could cause volatility on the Sterling. Our main focus is on the BoE Inflation report, BoE Interest Rate decision, and the BoE MPC Meeting minutes. 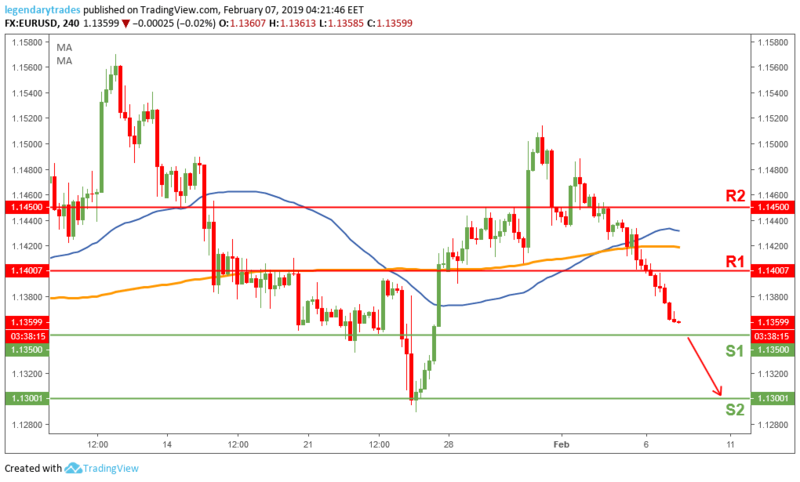 The Sterling tried to bounce above 1.2920 (S1) support level yesterday, but price came back down to trade just above it. Price action looks weak and it looks like the bears are getting ready to break below it. A successful break of the S1 level, could open the door for a retest of 1.2860 which is the 200-day moving average, and possibly even 1.2830 (S2) support. The bulls need to get price back above 1.30 to change this current bearish market sentiment.